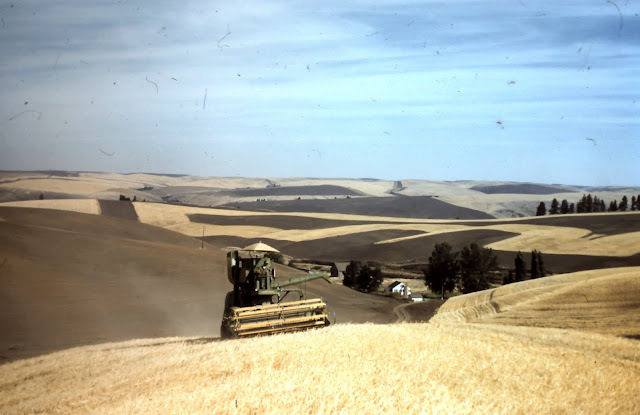 My Great Grandfather Joseph took this picture in the mid 1950s on our Family Farm near Diamond, Washington. You can see the farmhouse at the bottom of the draw, amongst the trees. The land that is a golden color is the wheat that is being harvest. The darker brown color is the land that is laying fallow, a practice which lets the soil rest and regain it's "nutritional strength" so it will produce a better crop the following year. 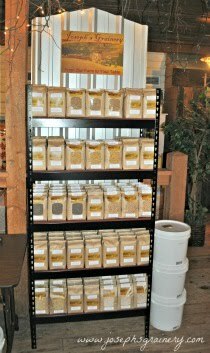 That's just another great reason to purchase your whole grains and lentils from Joseph's Grainery.